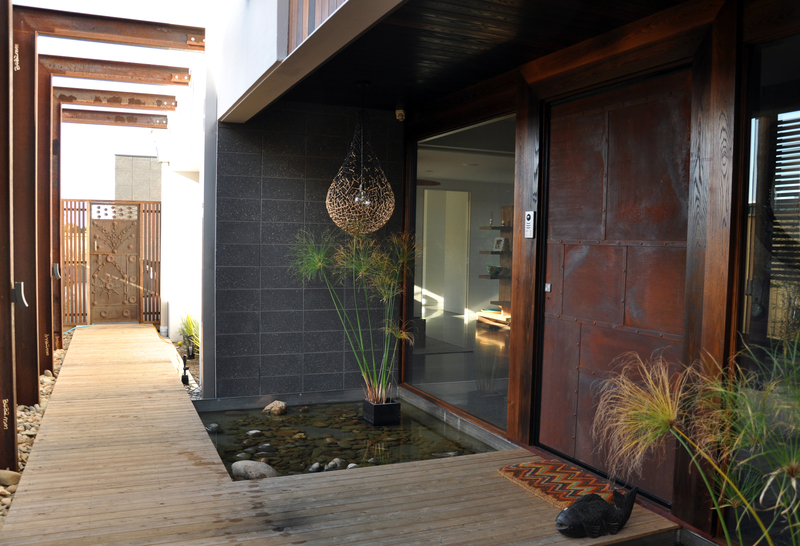 In 2013 we had the pleasure of custom creating a number of feature elements for this stunning property. 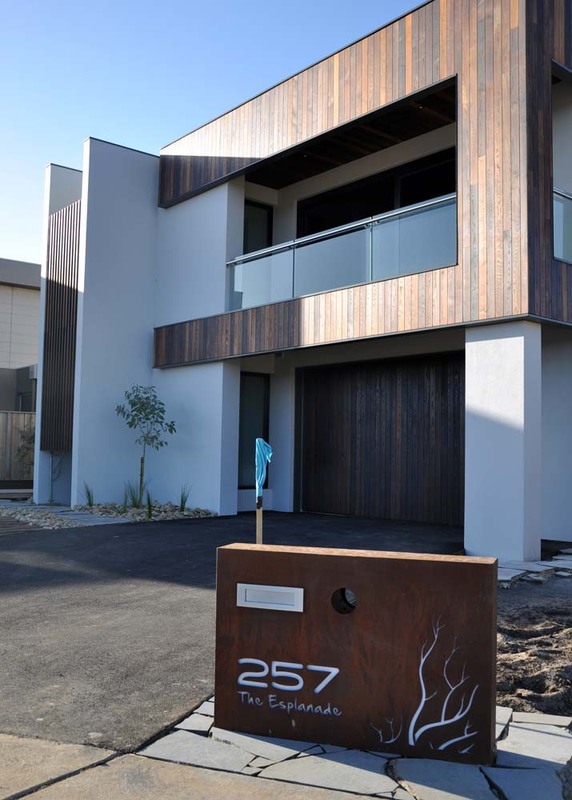 One of our custom large letterboxes sits perfectly alongside the driveway of this seaside home. 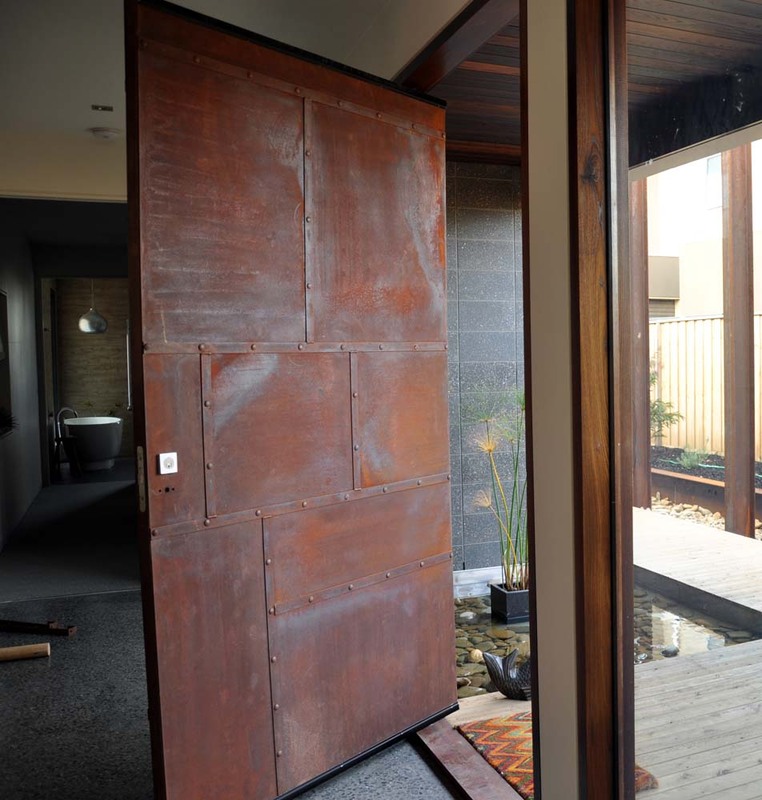 As you walk along the side of the house to private entry door, the custom Corten clad pivot door with rustic old style rivet and strap details welcomes you. 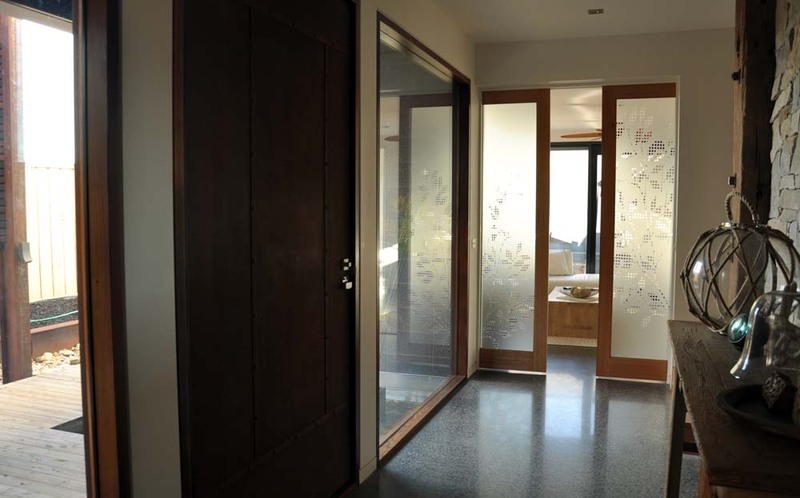 At 2.7mt high and 1.4mt wide the entry door is the perfect start to what is a beautifully styled home. 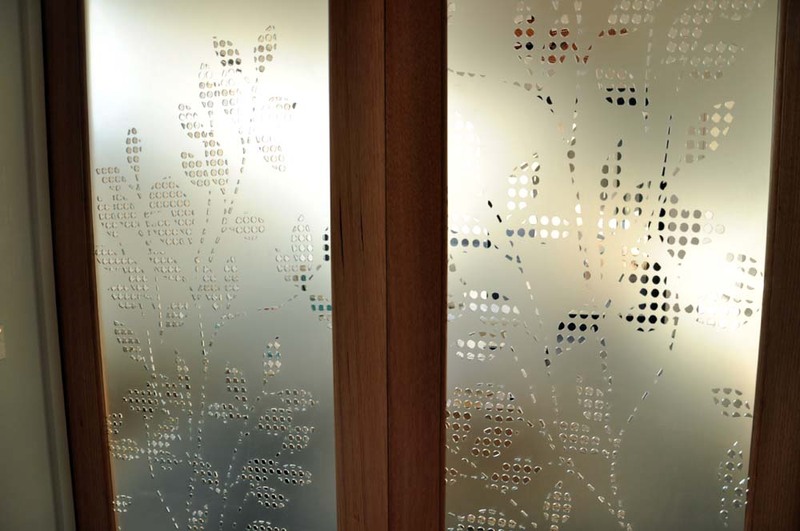 Through the entry, we created a privacy branches pattern that was laser cut into etched acrylic sheet and inserted into the sliding door frames as if it were a pane of glass. 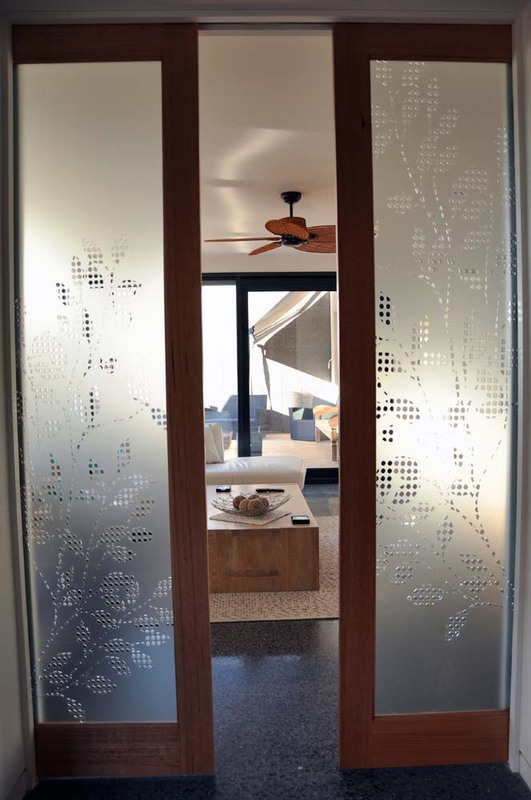 This detail lets light through while allowing privacy for the bottom level guests retreat. 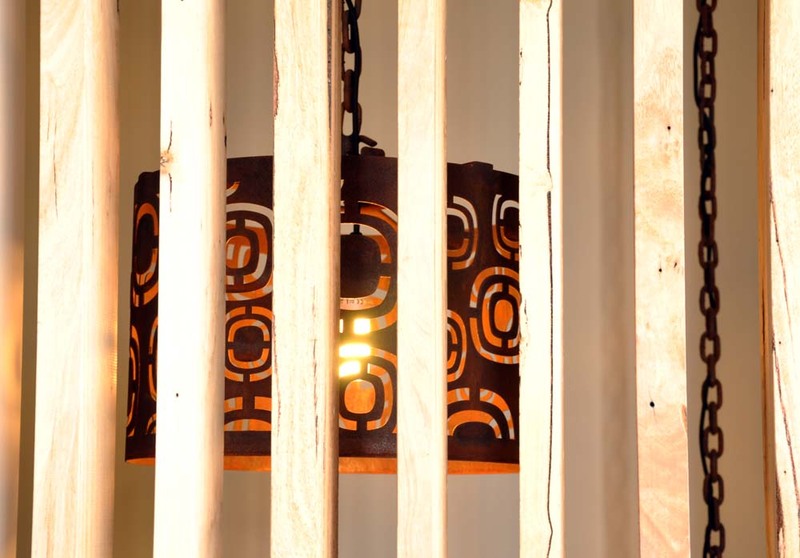 Up the stairwell and custom lightshades with heavy chain and laser cut pattern in the externals throws great light into this towering stairwell. The heavy duty rope balustrade up the side is supported by custom designed steel brackets that we designed to hold it all in place. Hidden from view, the custom 3 dimensional mirror that we custom made for this client will be a stunning surprise when you go to the guests bathroom! 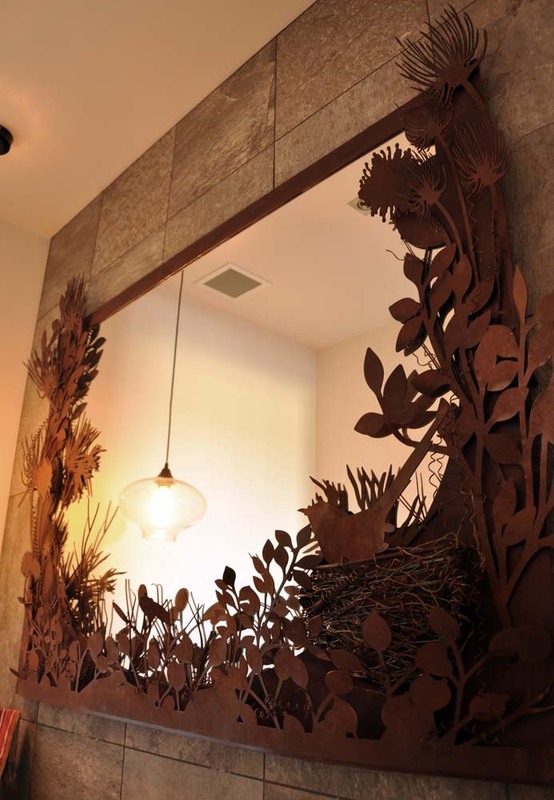 Integrating layered laser cut components around the frame, we created a textured masterpiece which even includes a hand weaved copper wire birds nest.